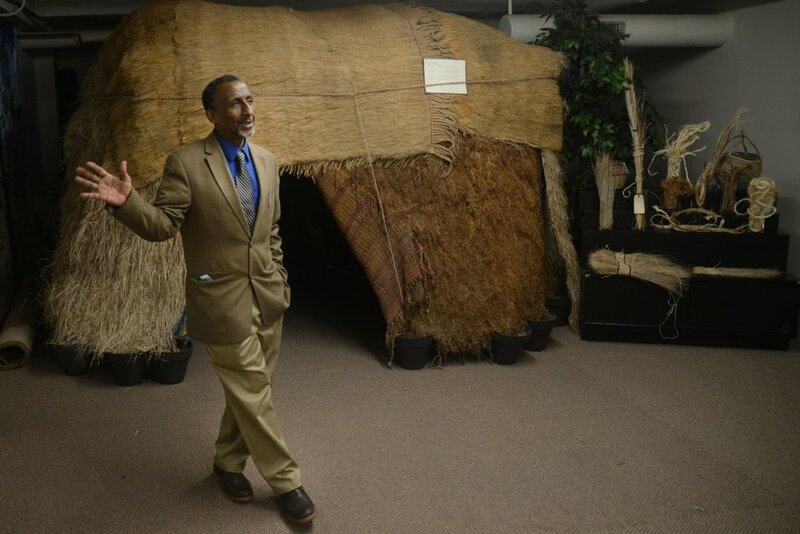 Osman Mohamed Ali stands in front of a traditional nomad somali hut and homestead at the Somali Museum of Minnesota on Friday, April 14, 2017 in Minneapolis. When Osman Mohamed Ali returned to Somalia in 2009, he noticed few cultural artifacts remained. Most relics had been destroyed in the country’s 1991 civil war, Ali said, and there were no museums left in Somalia to preserve remaining items. Worried the last artifacts would be destroyed, Ali began collecting those he could find and brought them to the U.S. In 2011, Ali founded the Somali Museum of Minnesota, which now holds hundreds of artifacts from the country. Now, the museum is looking to expand. A bill sponsored by Rep. Ilhan Omar, DFL-Minneapolis, would grant $200,000 to the museum over the next two years to expand programs and exhibits. The museum has several cultural programs but lacks adequate room to operate at its current location — tucked into a commercial basement on East Lake Street. Read more about the museum’s plans to expand and showcase more than 700 artifacts that are being kept in storage at the Minnesota Daily. As Minneapolis appears poised to institute a $15 minimum wage, 15Now Minnesota and other advocates are keeping up the pressure to make sure it happens. This week several Minneapolis City Council members announced their support for a $15 minimum wage for businesses operating in the city, meaning at least seven members of the 13-member council would vote in favor of such a measure. The details have not yet been worked out and nothing is currently before the council. If Minneapolis were to adopt a $15 minimum wage, it would be the first major city in the Midwest to do so, joining communities such as Seattle, San Francisco, Los Angeles and Washington, D.C.
Read more about what advocacy groups are doing to make sure $15 minimum wage becomes a reality as well as which obstacles still need to be faced at Workday Minnesota. Since 2012, Minneapolis Public Schools (MPS) have been awarded Hennepin County grants for capital improvement and to acquire new equipment for the district’s athletic facilities. North High School is the latest to receive a Hennepin County Youth Sports grant — $150,000 to remodel and install new equipment for the school’s new fitness center. District Athletic Director Trent Tucker announced that all seven MPS high schools now have new or updated fitness rooms. Find out more about this new fitness center as well as how big of an impact it will have on the students at Minnesota Spokesman-Recorder. 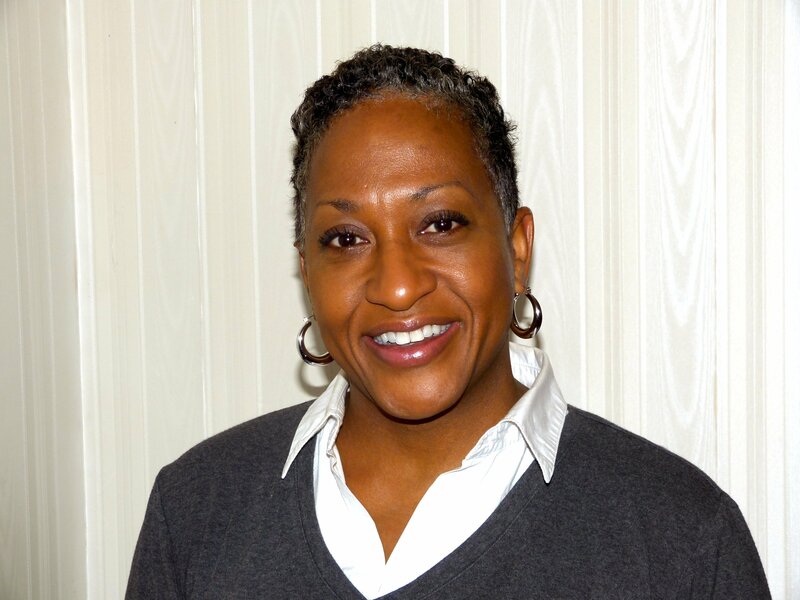 BLACK: The end of the achievement gap? BLACK (Building Lives, Acquiring Cultural Knowledge) is a program in Minneapolis Public Schools that works to connect young African American males to black role models to address disparities such as the achievement gap. The wealth of different experiences that comprise the Hmong story is exactly why Mai Vang founded the Hmong Museum: a passion project 10 years in the making. Milken Educator Award winner Natalie Rasmussen taught at Minneapolis North High for 20 years, including the Summatech years. In 2010, Rasmussen took a new job at the Blake School, as chair of its PreK-12 science department. In a high-rise tower located on Portland Avenue lives Hassan Nor, a Somali immigrant. Counter terrorism programs are targeting Somali youth. We need to talk about it.